Photo: Shelbanks (Kean Cabin), ca. 1906, 1520 Shorewood Drive, Bremerton, WA. Listed on the National Register of Historic Places in 2004. 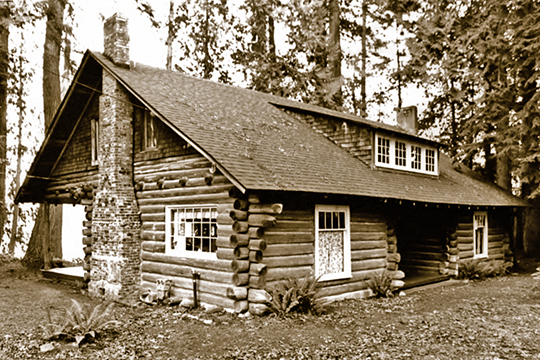 Photograph by M. Clurkan, 2001, for nomination document, Shelbank, Kitsap County, WA, NR# 04000160, National Park Service, National Register of Historic Places. Kitsap County administrative offices are located at 614 Division Street, Port Orchard, WA 98366; phone: 360-337-7150. Kitsap County was created in 1857 from parts of Jefferson, King and Washington counties. It is named for the chief of the Suquamish Indian tribe, Chief Kitsap.